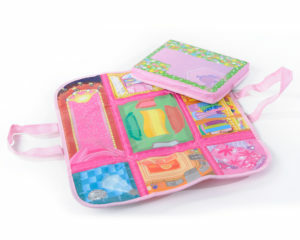 PLAY, STORE AND MORE; this versatile play pack stores up to 50 dolls; then quick as a zip, opens to a play mat rich in imaginary scenes of a stylist mansion where creative play can begin and every girl can feel like a princess. Neat-Oh! knows that every little girl is a princess, every day. 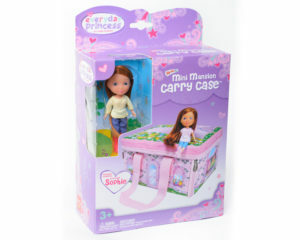 The Everyday Princess 50 Doll Mini Mansion is part of Neat-Oh!’s line of Everyday Princess – No Crown Required line. They’re toys devised to encourage imaginative play – and to empower young girls to design and control their own creative realm.